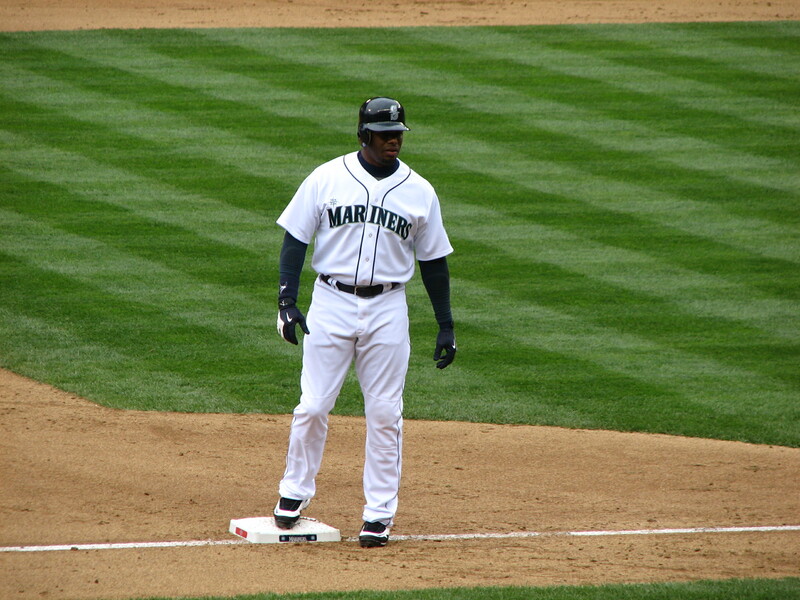 Ryan Howard Makes More Money Than You: Is He Worth $125 Million Dollars? Posted on April 27, 2010 by Notorious B.U.D. Ryan Howard won't have to settle for $5 dollar footlongs with his massive new contract. No, he doesn’t work for Goldman-Sachs, but Ryan Howard is still making a killing in the down economy. 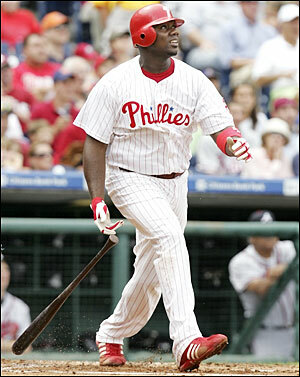 The Phillies star slugger signed a 5 year/$125 million dollar contract yesterday to stay in Philadelphia through 2016. The contract also includes a $23 million dollar club option for 2017 which would push the total value of the deal to nearly $150 million–making him the second highest paid player in baseball per season behind only Alex Rodriguez. Though Howard got a late start to his career (he didn’t reach the majors until age 25 with Jim Thome at first in Philadelphia), the burly lefty has done nothing but hit since, averaging 49.5 home runs and 143 RBI’s over the past four seasons. Howard captured the NL MVP in 2006 on the strength of a .313-58 HR-149 campaign, and while his average has dipped since that year, he has proven to be one of the most consistent power producers in all of baseball. The Phillies were eager to keep the face of their franchise in red pinstripes even though he wasn’t eligible for free agency until after the 2011 season, perhaps fueled by an offseason rumor that the team had considered trading Howard to the Cardinals for Albert Pujols. Both Philadelphia and St. Louis denied that any trade talks had occurred, but the Phillies needed to prove they were committed to Howard, and did so by making him a very rich man. Is the big first baseman worth $25 million a year? There’s no denying that Howard is one of the best run producers in the game, and the signing is a good PR move because he’s a fan favorite, but Howard is certainly not without his flaws in the field and at the plate. The 6-4, 255 lbs. 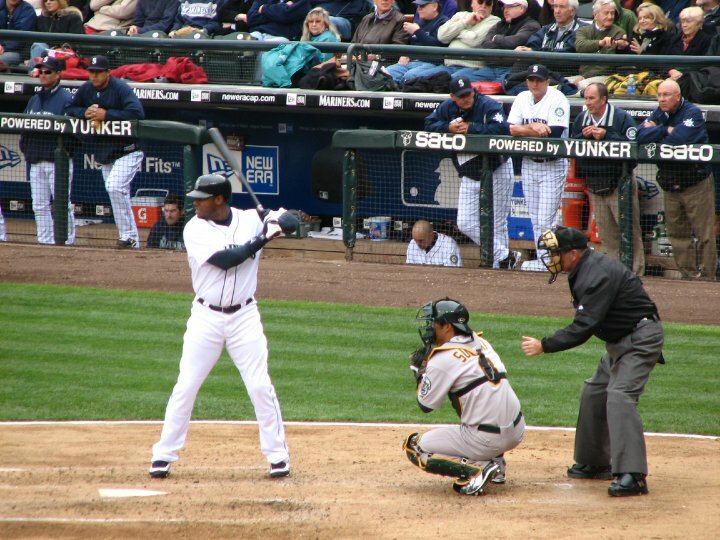 Howard has worked hard to become a passable first baseman, but is still below average at the position and would be better suited as a designated hitter in the American League. There are also concerns that his weight will become an issue in the latter stage of the contract as Howard will be 36 when the deal runs out. He has worked hard to stay in game shape, including losing 25 pounds during the offseason, but historically players of his size and skill set don’t age well. What the Phillies are really paying Howard for are his charismatic personality, moonshot home runs and clutch RBI’s—all of which mask some glaring weaknesses at the plate. Howard has averaged 191 strikeouts in his four full seasons and hasn’t posted an OPS over 1.000 since his MVP season of 2006. He is a .225 career hitter against left-handed pitchers and hasn’t shown the ability to improve in that area (only .200 so far in 2010). When the home runs stop flying off the bat, and they will, Howard’s contract will look like an albatross for Philadelphia. Were the Phillies smart to sign Howard to a new contract? Yes. 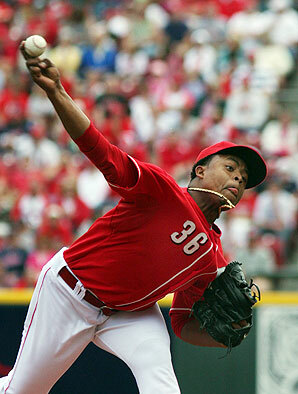 Were the Phillies smart to sign Howard to a five-year/$125 million dollar contract? No. Posted on April 15, 2010 by Notorious B.U.D. 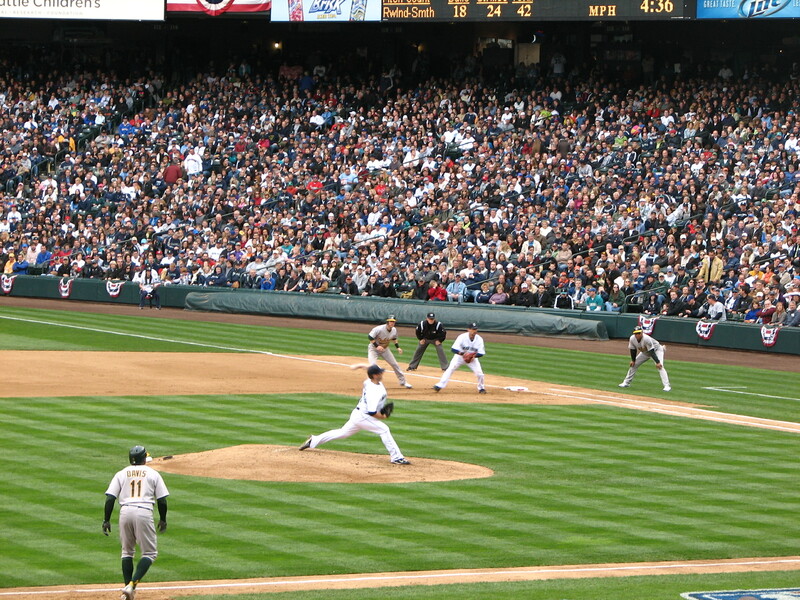 Despite the pleadings of my closest advisors and body guards that I stay in my underground bunker with Tupac, I ignored their advice and decided to attend the Mariners’ home opener on Monday knowing full well that I would be mobbed by adoring fans at every turn. When you reach the level of fame that I have as a two-time A.S.B. President and the second best 14-15 year-old swimmer in Central Washington, you become accustomed to countless autograph and photo requests. 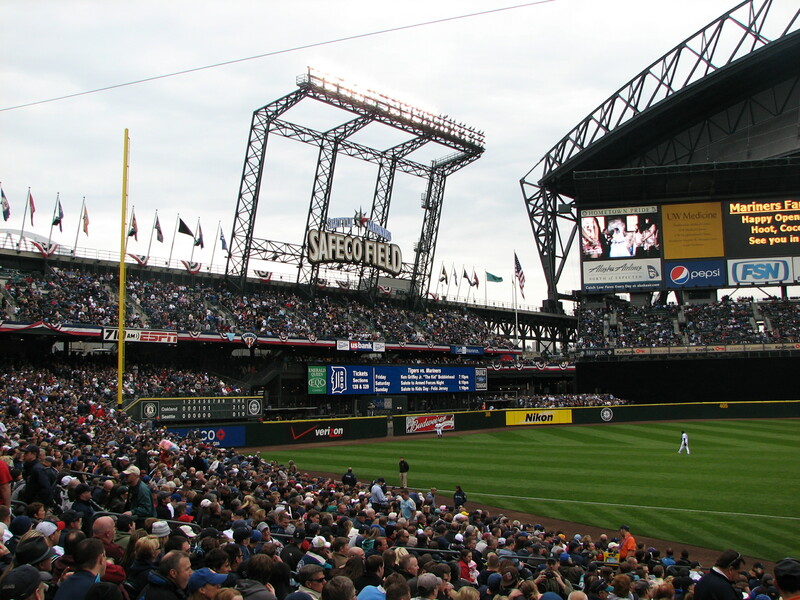 While I realize that it comes with the territory, the constant attention can make going out in public quite difficult, and with over 40,000 people in attendance at Safeco it seemed destined to be a long day. 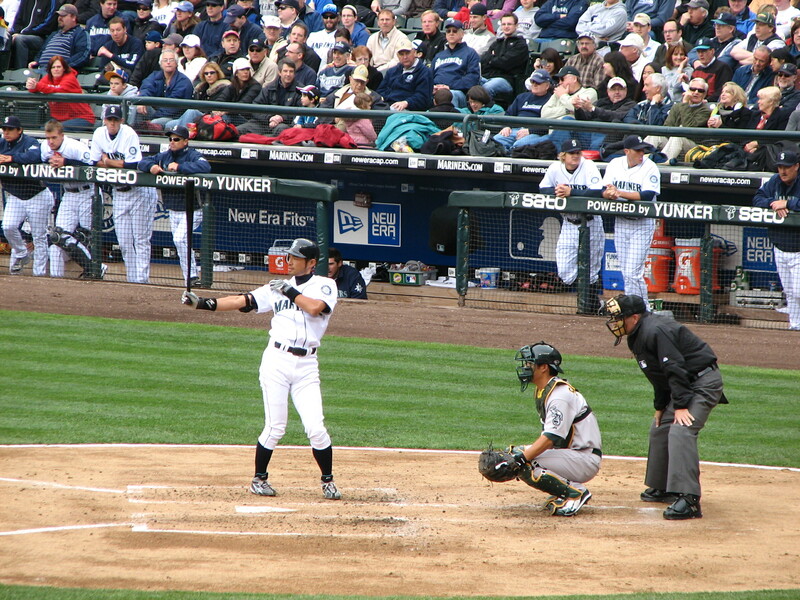 Ichiro’s slow start to the season has been a major source of the Mariners scoring troubles. He went 0-4 in this game and blamed the alignment of the planets for the hitless home opener, cursing Mercury for ever being born. Ryan Rowland-Smith had a no-hitter through 5 innings, but the Hypenator struggled with his control all day, and was eventually undone by his own wildness. Seattle will need more consistency from him moving forward, although he made it up to the fans with an acoustic version of “Down Under” after the game. Ken Griffey Jr. was understandably nervous with me in the stands and it showed as he struck out in his first two at-bats. I apologized after the game for being a distraction and Junior promised he would never let me down again. After that we went to Dave and Buster’s to play ski-ball…he won. 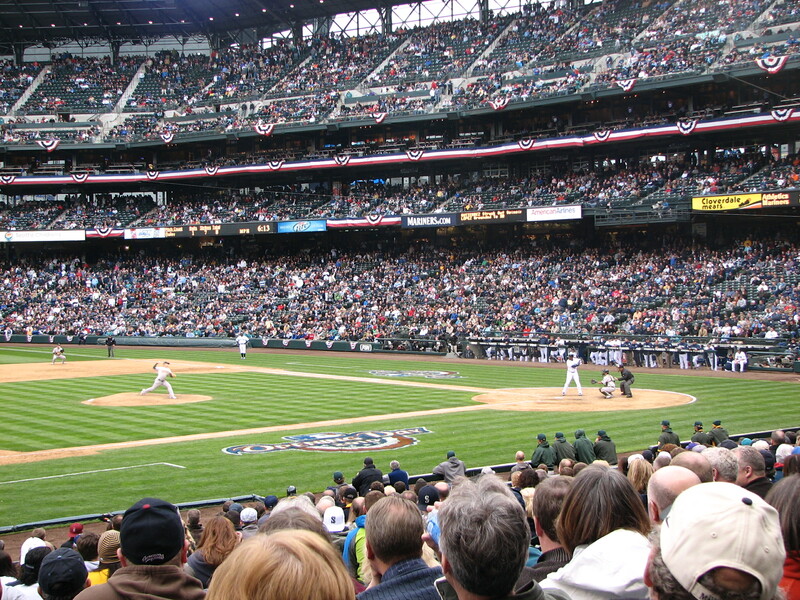 It only took one game for the Safeco Field faithful to start booing Milton Bradley for his play in left field. Thankfully, he didn’t respond with a middle finger as he did in Texas, though I’m sure he wanted to. 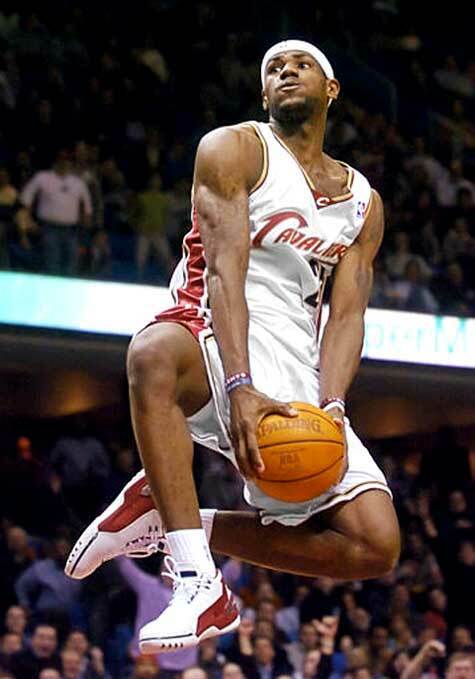 Has there ever been a player in sports whose name is a worse fit for their personality? 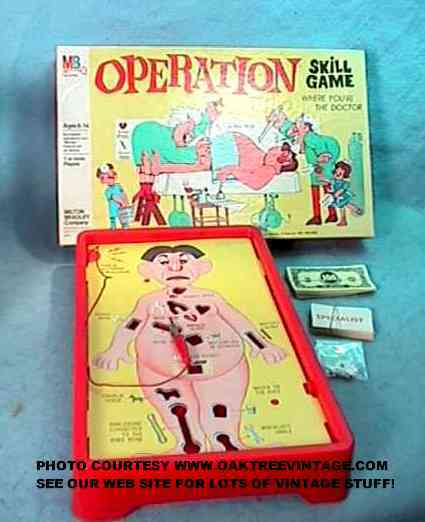 When I think Milton Bradley I think fun. 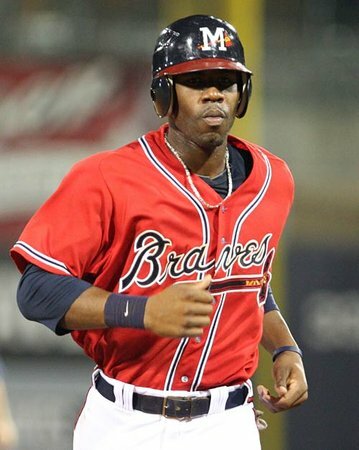 When I see the Milton Bradley that plays baseball I think dark and troubled. If his name was Gregory Grumppot it would be a total non-issue. Junior thought about stealing home but his hamstrings decided against it. The game ended on a long fly ball that was just a little short. Let’s hope that’s not a harbinger of what’s to come or my World Series prediction will look awful silly. Th-th-tha-that’s all folks! Hope to head out to a few more games this summer. Stay tuned to Viva la Vidro for all things not worth being published elsewhere. David Ortiz, Seeking to Prove He’s More Insecure Than Most High School Girls, Lashes Out at Reporters Following Loss. Posted on April 7, 2010 by Notorious B.U.D. 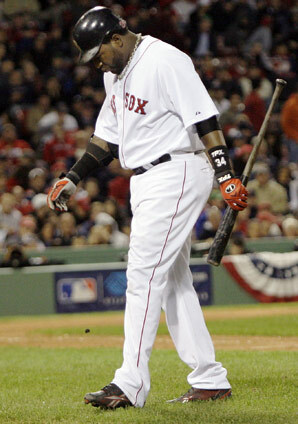 A meltdown following the second game of 2010 spells a long season for Ortiz. Even if I can’t correctly identify all of the expletives listed above (s-word, s-word, f-ing, mother-effers, f-word, f-ing, s-word ton, mother-effers?) the gist of Ortiz’s comments is quite clear: don’t judge me by two games. He’s right of course. Seven at-bats is an extremely small sample size, and if Ortiz played in San Diego or Kansas City this minor slump would be a non-issue. Unfortunately Ortiz doesn’t play for the Royals, he plays for the Red Sox in one of the largest media markets in the sport. As a player in New York or Boston you’re under the microscope 24/7, which Ortiz should realize entering his 8th season with the Red Sox. If Ortiz had just brushed off the questions, or laughed at his own expense, it’s unlikely we would still be talking about his slow start today. But by lashing out at reporters, Big Papi revealed what many in the media speculated last year…that the end is near. Ortiz is no longer the 40-50 home run threat he was when he first arrived in Boston and unless he rights the ship soon, both physically and mentally, Big Papi’s days in Beantown might be numbered with Mike Lowell waiting in the wings. Love ’em or hate ’em the Red Sox sure know how to make things interesting. 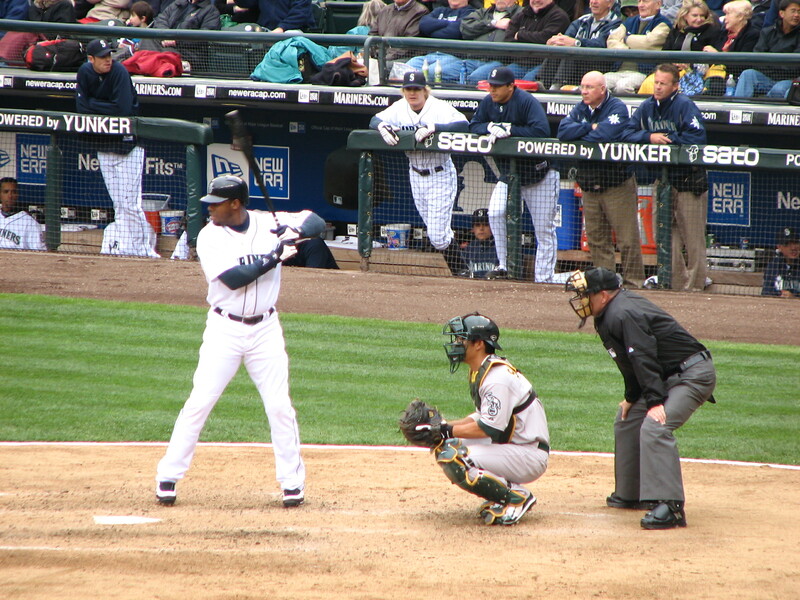 Viva La Vidro’s 2010 Baseball Forecast: Cloudy With a Chance of Mariners. Posted on April 4, 2010 by Notorious B.U.D. Say hey to Jason Heyward, the 2010 NL Rookie of the Year and next Ken Griffey Jr.
NL Rookie of the Year–Jason Heyward (Atlanta Braves OF): If card sales are any indication (just take a gander at his stuff on eBay) Heyward is the real deal. The 20-year-old slugger has been compared to everyone from Ken Griffey Jr. to Fred McGriff, and the Braves would be more than happy if Heyward turned into a “Kred McGriffey Jr.” hybrid. It’s amazing that 13 other teams passed over him in the 2007 draft because Heyward has a once-every-decade skill set, including light-pole power and tremendous plate discipline (especially for such a young player). 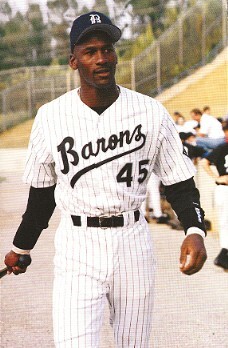 He’ll start the year in rightfield for the Braves after a strong spring and should run away with the award. The Orioles are confident that Matusz can lead them out of the AL East cellar. AL Rookie of the Year–Brian Matusz (Baltimore Orioles SP): Matusz is set to become the most badass bird since Frightful of My Side of the Mountain fame. The 23-year-old lefty breezed through the minor leagues (11-2, 1.91 ERA, 0.906 WHIP) and showed plenty of talent in a brief stint with the Orioles (5-2, 4.63 ERA, 38 K’s in 44 innings) last season. Alongside Chris Tillman, David Hernandez and Brad Bergesen, Matusz is a major part of Baltimore’s rebuilding project, and despite his age will be counted on as a leader of the pitching staff. Matusz has a four pitch repertoire and a deceptive delivery that makes it difficult for hitters to track his fastball. He also shows a good command of the strike zone and has the ability and makeup to be a top of the rotation starter for the next decade. The Orioles will need Matusz to be as good as advertised if they hope to climb the treacherous mountain known as the AL East. NL Cy Young–Roy Halladay (Philadelphia Phillies): While there is no shortage of premier pitchers in the National League (Tim Lincecum, Johan Santana, Adam Wainwright, Chris Carpenter, etc. ), Halladay should have the best season of his career in 2010 after moving from the power packed AL East to the offensively challenged NL East (no offense Mets’ fans…okay plenty of offense actually). Supported by one of the game’s best lineups Doc Holliday should have no trouble winning games and posting a sub 2.50 ERA to go along with around 200 K’s–more than enough to wrestle the award away from Lincecum. AL Cy Young–Felix Hernandez (Seattle Mariners): King Felix was nearly unstoppable in 2009 (19-5, 2.49 ERA, 217 K’s) and only missed out on the award because of an unreal season from Zack Grienke. With Cliff Lee backing him up (after he gets off the DL) and a slightly improved lineup, Hernandez should be even better in 2010 and has a solid chance to capture his first 20-win season. The key this year for Felix will be cutting down on his walks (71 free passes) and wild pitches (a league leading 17); if he can do that, the King might just be the best pitcher in all of baseball. Troy Tulowitzki and the Rockies are poised for big things in 2010. NL MVP–Troy Tulowitzki (Colorado Rockies SS): Tulowitzki finished fifth in NL MVP voting last season, which is astounding considering how slowly he and the Rockies started in 2009 (.200 BA in April, .242 in May). The sweet swinging shortstop is a wiz in the field and has a desirable combination of power and speed at the plate (30 HR’s/20 SB’s in 2009). More importantly than his numbers though, is Tulo’s leadership in the Rockies clubhouse, where he is the unquestioned captain of the team. If the Rockies can build on their strong finish last year Colorado should have no trouble overtaking the weakened Dodgers in the NL West, and if Tulowitzki plays like he did from June until the end of the 2009 season, the MVP will be his to lose. AL MVP–Evan Longoria (Tampa Bay Rays 3B): Despite the Rays’ struggles in 2009, Longoria put together a quietly solid season in his sophomore campaign, hitting .281 with 33 HR’s and 113 RBI’s while capturing the Gold Glove at third base. Still only 24-years-old, Longoria has plenty of room for improvement at the plate, and he’s certainly capable of smacking 40 HR’s if he can cut down on his strikeouts. Tampa Bay has one of the most talented rosters in baseball and have been picked by many baseball pundits to take the AL East or Wild Card, thanks in no small part to Longoria’s continued maturation as a player. Look for big numbers in 2010 from the Rays’ third baseman as Evan finally becomes America’s most popular Longoria. World Series: Seattle over Colorado (4-3)–It’s no crazier than a Duke-Butler final, and really, could it end any other way? Well it could, but I don’t want it to, and I think baseball takes my wants and needs very seriously.